Car accidents can happen at any time, and they take us off guard because of their sudden nature. Thankfully, not all car accidents cause injuries, but some do result in severe trauma. This is why all drivers need to remember the responsibility they have to drive safely and attentively. Reckless driving can lead to accidents and have far-reaching, negative impacts. 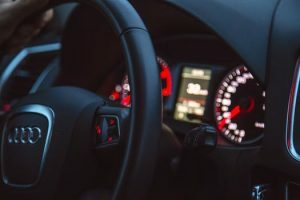 On May 27, the Worcester Police Department received information about a two-vehicle accident that involved personal injury. The crash occurred around 9 p.m. on the 1st block of Server Street. The police department and other emergency personnel arrived on the scene shortly after receiving word of the accident. Once they arrived at the scene, emergency personnel secured the area and administered medical care to at least one individual. The injuries did not appear to be life-threatening, but their extent is still being determined. Car accidents can sometimes be catastrophic. These incidents leave victims facing injuries that impact their lives in detrimental ways. The potential for an accident happening means that all drivers must remain cautious and attentive while behind the wheel. We must all do our part to keep our roads safe and prevent accidents. We at the Law Offices of Jeffrey S. Glassman are involved members of the community. Since we see the tragic impacts of car accidents first-hand, we want to do all we can to raise awareness about the importance of safe driving. We know that accidents cannot be completely avoided, and, as such, we are also here to help victims receive the help they need so they can move forward with recovery.